A VroomGirls Car Party is Coming to Your City. Sign up now! 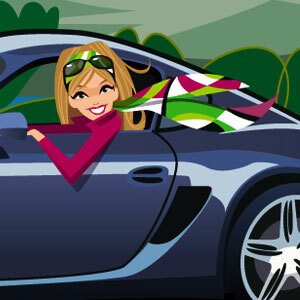 If you’re a woman about to buy or lease a new car, you’ll want to attend a VroomGirls Car Party. And one could be coming to your city soon. So sign up now using the very short form below. A VroomGirls Car Party is simply the best way for a woman to pick a new car. Instead of visiting a dealership, you go to a great restaurant and we give you a free luncheon. Instead of seeing a salesperson, you get to test drive cars and ask questions without any pressure to make a deal. In fact, you couldn’t sign papers for a new car at a Car Party if you wanted to. And there are no men. It’s not that we don’t love our men, but let’s face it, they can be know-it-alls when it comes to cars and it’s nice to have a ladies-only gathering. But best of all, you get an incentive to buy or lease a new car. When you find the car you like, you have 60 days to go to an auto dealer – nope, you can’t avoid them entirely – and make your best deal with whatever incentives they can offer. And then, you use a voucher you got at the Car Party to get a check for up to $500 more, directly from the automaker. Great deal, right? VroomGirls is planning a series of Car Parties around the country. Pre-register below and we’ll let you know when there’s an upcoming Car Party near you.